First, find out if your information was exposed at https://www.equifaxsecurity2017.com/potential-impact/. Make sure you are on a secure computer and an encrypted network connection. Even if your information was not exposed, U.S. consumers can get a year of free credit monitoring and other services. The site will give you a date when you can come back to enroll. Write down the date and return to the site and click “Enroll” on that date. You have until November 21, 2017 to enroll. 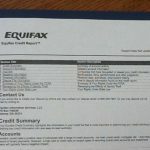 Order your free credit reports annually through the federally authorized web site www.annualcreditreport.com. You are allowed one free report every 12 months from each of the three major credit reporting agencies: Equifax, TransUnion, and Experian. Your credit reports will provide a detailed history that may better alert you to credit fraud. You must request a credit freeze with each agency. In Florida, the fee to place a freeze is $ 10 with each agency for persons under age 65. If you are 65 or older or have been a victim of identity theft, the fee is waived. Currently, Equifax is waiving fees. You will need to lift the freeze if you want to open a new account, change insurance policies, rent housing, or sign up for new utilities or phone service – any transaction requiring a credit check. The fee to lift the freeze, either temporarily or permanently, is $ 10 per agency and it may take up to three business days for the lift to take effect. Photocopies of two forms of identification, such as a government-issued identity card and proof of residence such as phone bill or utility company bill.